Adrian Hebert-Thomas, Esq. is the principal attorney of Hebert-Thomas Law, PLLC. 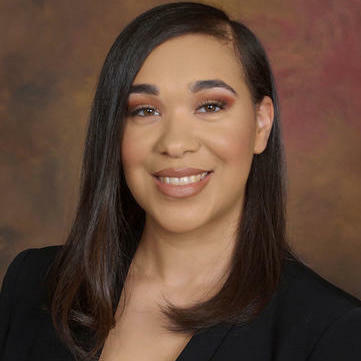 She is a skilled attorney who focuses her practice on advising businesses and entrepreneurs in various aspects of corporate law, ranging from corporate formation to mergers and acquisitions. Adrian has a passion for helping young entrepreneurs develop a strong business acumen and providing them with the necessary legal tools to foster and promote their success. Adrian has a strong business background, with a bachelor of arts degree in marketing and a concentration in business law. Additionally, she serves as the Vice President and General Counsel for Empuls3,… read more LLC, a Texas based media and consulting company. "Adrian provides competent legal advice and gives feedback regarding alternate provisions of all technology service contracts she has drafted in our behalf." Hebert-Thomas Law, PLLC is a corporate law firm providing sound legal counsel and a myriad of corporate services to both novice and well-seasoned entrepreneurs. My practice areas encompass Corporate Formation and Governance; Business and Technology Transactions; and Mergers & Acquisitions. I pride myself in exceeding expectations and nurturing strong, meaningful client relationships. Empuls3, LLC is a Texas based media and consulting company, where I am responsible for drafting and negotiating all technology and service contracts and advising on all corporate governance matters. Additionally, I am charged with drafting the company's policies and procedures and ensuring compliance. Finally, I facilitate all intellectual property transactions on behalf of the company. Represented creditors such as U.S. Bank, NationStar, Wells Fargo, and Ditech in high volume bankruptcy, foreclosure, and litigation matters. Charged with case management of Chapter 13, Chapter 7, and Chapter 11 mortgage proof of claims, with up to 30 filed per day throughout the country.